A Rose is from the genus of Rosa and from the family of Rosaceae. They are adored by every lover of all ages. They are commonly known as nature’s buds. 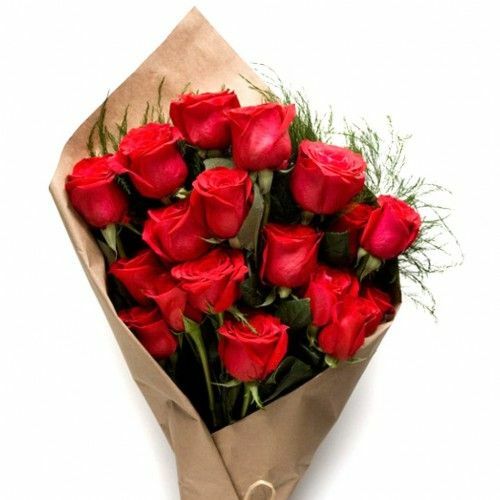 If you have been planning to pop up the big question, then this beautiful bouquet of 12 Red Roses with green leaves and magnificent fillers is perfect to express your love. The flowers were very fresh & the bouquet was amazing. Great service. A perfect gift for anniversary! I had never seen such a nice bouquet ...i used to send bouquet in a cellophane but its packing is awesome...my girl friend just loved it ...thank you flaberry for making my valentine!